Ad major GroupM has hired Karthik Nagarajan as its national director for social and insights. Nagarajan will head the interaction leadership team and will report to Tushar Vyas, Managing Partner, GroupM South Asia, according to Exchange4media. GroupM is WPP"s consolidated media investment management operation, serving as the parent company to agencies including Maxus, MEC, MediaCom, Mindshare & Kinetic. Vyas said, "Nagarajan will hold the strengthening social media practices across all agencies of GroupM and his presence will cope up the efforts to understand the behaviour of digital consumers and its meaningful use of learning in social environment." Karthik Nagarajan was previous employed online casino as the Director of The Nielsen Company in India and head of its online division in India, which he helped set up. He led the launch of three products - AdRelevance (online advertising intelligence), BuzzMetrics (social media monitoring) and AdEffectiveness (online campaign effectiveness) at Nielsen. Prior to joining Nielsen, Nagarajan was employed at Shipcom Wireless as a Director of Marketing (a technology company based out of Houston, Texas). He has also worked at the global research and consulting practice for Frost & Sullivan in the USA in areas of biometrics, smart cards and RFID. 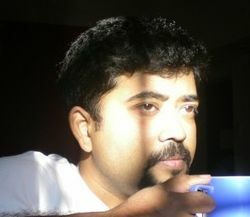 While in the USA, he set up an independent production company called Filter Coffee Talkies in San Antonio, Texas.